Community Blog by Pocketoid // Pocketoid Episode 100 Will Reunite the Cast of Destructoid's RetroforceGo!! 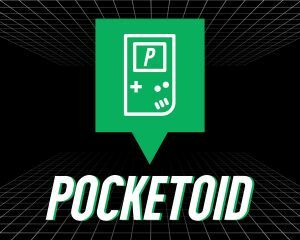 Pocketoid Episode 100 Will Reunite the Cast of Destructoid's RetroforceGo!! Hey there Destructoid! It's been a while! We just wanted to pop in and let everyone know that yes, our dumb podcast is still going, AND we just released Episode 99! That's not all though as you may have guessed from the title! We're also beyond excited to announce that we will be reuniting the veteran cast of Destructoid's retro gaming podcast, RetroforceGo! We're not sure how many of you will remember, but RFGO was our personal reason for joining Destructoid all those years ago and for starting this podcast in the first place! It's pretty incredible to have an opportunity like this and we hope that some of you here are old enough to be just as excited as we are for this! We'll be discussing the history and legacy of the Nintendo Game Boy, so we'd absolutely love for you to send us your questions, memories, stories, and favorite games as we get ready this week! You can leave a comment down below OR you can hit us up on Twitter or Facebook!